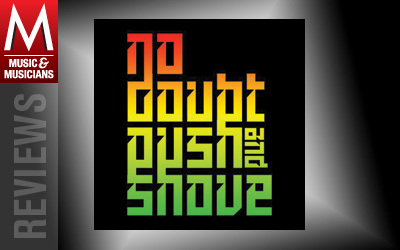 When Gwen Stefani sings, “Never, ever, ever gonna be the same,” the opening line on “Sparkle,” a standout track from No Doubt’s first new album in 10 years, she’s not kidding. With its brassy accents and fat-bottom, pop-reggae bounce, the tune recalls the 2002 hit “Underneath It All,” itself a reminder of No Doubt’s roots as the little SoCal ska band that could. But “Sparkle” is the exception that proves the rule. Alongside lead single “Settle Down” and the chassis-rattling title track, it’s one of a scant few Jamaican-tinged songs skanking in a sea of club beats and stadium-rock choruses.